Mr Ramesh Nadarajah is an adult and paediatric spinal surgeon. 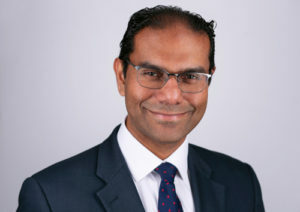 Ramesh provides a dedicated tertiary spinal deformity service to patients from south east England and from other spinal units for patients with complex spinal disorders. The focus of his work is to improve the diagnosis, management and long-term outcome for patients with a spinal disorder at all ages.Ramesh is also actively involved in training and teaching undergraduate students and postgraduate doctors and is a faculty member of several national spinal courses. He has published in a number of peer reviewed medical journals and has been an invited speaker in major national and international meetings and conferences.